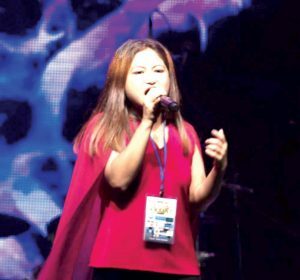 Meet Meribeni Patton, a solo artist and vocal trainer, teaching in musical institutions in Dimapur. She tutors at home too. 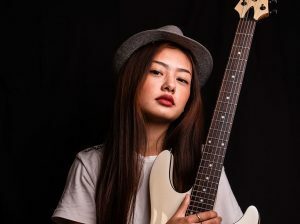 Not a new face for music enthusiasts in Dimapur, Meribeni has also performed at various programs. To her credit, Patton has grade- 8 certification in voice. She is a topper from east India during 2015, Hope Centre for Excellence, and has an intermediate certificate in singing, with distinction, Trinity College London. 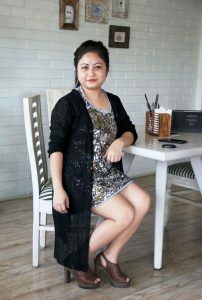 In today’s Rhythm of Love this singer talks to us about her experience in music. EASTERN MIRROR: What is your musical background? Talk us through your journey. Meribeni Patton: Music was and is a part of my life. I started to learn and sing from a very early age since music was already in the family. Self practice backed by confidence played a vital role in my music journey. I set all levels of solo competition as examination and test my level of improvement. Of late, I stand in the middle of a vast ocean; covered long distance and am still struggling hard to move further. I perform, train others and train myself as well. EASTERN MIRROR: What has changed the most for you after making a mark in the music industry? EASTERN MIRROR: Who do you consider to be your most significant musical influences? Meribeni Patton: Well I started early. My musical influences started from mom’s kitchen lalala to my dad’s whistle. But significant influence was made by my sister Emilo Patton. She’s not just a sister or an influence but my mentor as well. EASTERN MIRROR: What are the challenges and rewards that come from working as a musician? Meribeni Patton: Challenges may differ from person to person. To me, one amongst the many challenges worth mentioning is ‘language’. English is not my mother tongue; to write a good English song and compete in the music industry would be like moving mountains. Rest can be dealt with. Rewards depend upon working system and dedication. I aim high and work accordingly. Performance may fade with time but as a trainer, recognition and goodwill matters a lot to me. EASTERN MIRROR: As a music tutor how do you balance your music with other obligations? Meribeni Patton: I’m neither a seasoned performer nor tutor hence I always give extra time compared to others. Sorry guys, I give all of my time to music. EASTERN MIRROR: As an artist who has made a mark in the industry without singing competitions, do you think singing competitions are providing better platform/opportunities to aspiring artists? Share your opinion. Meribeni Patton: As mentioned in the earlier question, I take competitions as personal grading examination. I don’t take winning a competition as winning everything. Yes. Of course it boosts morale and social recognition but the rest has to be worked out all alone. EASTERN MIRROR: What are some common opinions people have about the music profession? ‘Kiman koshish kurilabe chokuri time te he hobo’ (How much ever you try to make a mark with music, as a female artist, this will last only in your youth). These are some of the lines we hear from elderly folks. 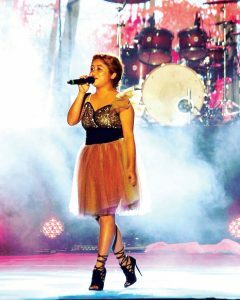 EASTERN MIRROR: What is your take on the music scenario of Nagaland? Three issues that you strongly feel about music in Nagaland? Meribeni Patton: Music in Nagaland had a quantum leap from local music to international music starting early 2000. State government’s Music Task Force played an important role in shaping and nurturing young Naga talents. Many distinctive platforms has already been initiated by both govt. dept. and other organizations/institutions for local and outsiders to share stage and music. One important issue pertaining to music in Nagaland is absence of sufficient renowned song writers and composers. The challenge I discussed earlier is also an important issue. Lack of proper infrastructure at home is also an important issue because we need sound proof practice studio at home for free and convenient practice. EASTERN MIRROR: What’s coming up for you? What are you working on now and where do you feel your music and is headed? Meribeni Patton: These days I invest all of myself for my Grade-8 Classical Singing examination and Grade-3 and 5 Performance Examinations for some of my Vocal Students. Yes. I’m somewhere in between beginner and professional, determined to break through all possible hindrances in Nagaland music industry.